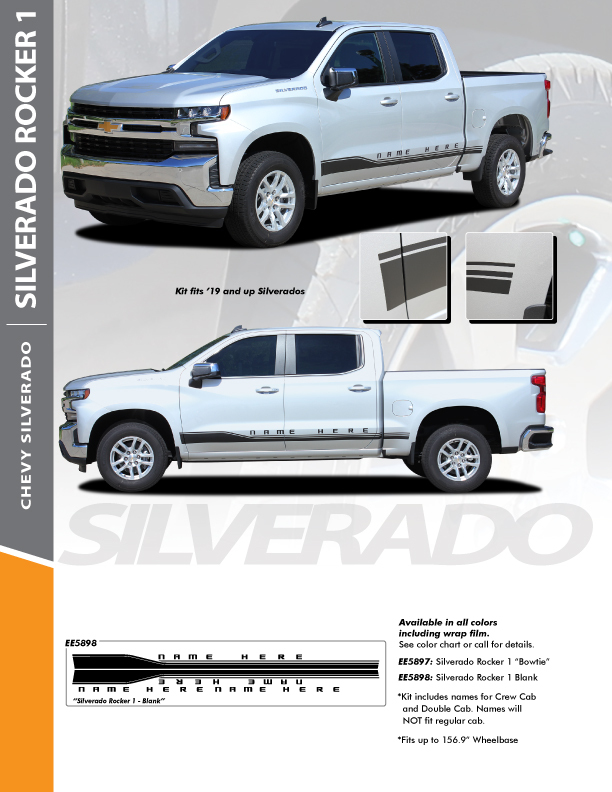 The SILVERADO ROCKER 1 Stripes for the NEW 2019 Chevy Silverado Pinstriping kits look awesome and we have them in stock! These Silverado Stripe Kits are the perfect custom vinyl stripe kit for the Chevy Truck Decals Graphics for the Silverado Pinstripe Ideas. Designed to complement the lower body lines of one of the best-loved trucks on the road. 2019 Chevy Silverado Side Decals SILVERADO ROCKER 1 Chevy Silverado Stripes, Silverado Decals, Silverado Side Door Stripes, Silverado Vinyl Graphics.